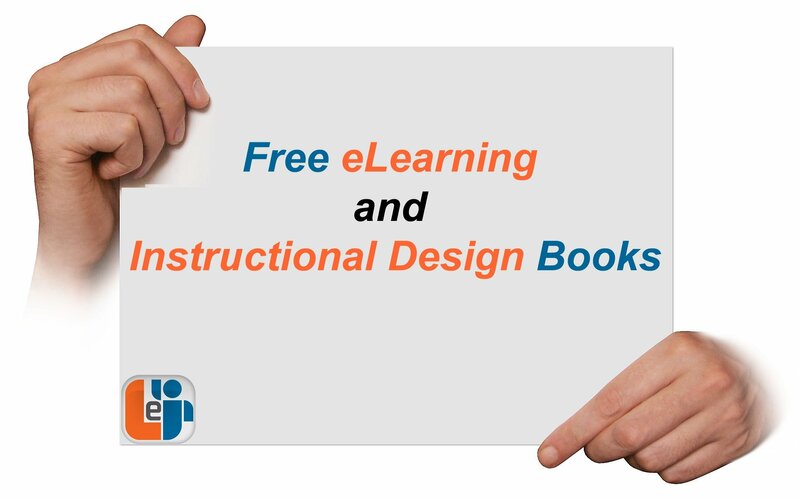 In this post you will find a list of 52 (updated 06/2015) FREE eBooks for instructional designers and eLearning professionals. If you have read any of the following books I will highly appreciate if you share your opinion with the eLearning community. If you know a free e-Learning book that is not included in the list please I will highly appreciate if you write a comment with a link to that book. For the Ultimate List of Free eLearning eBooks check Free eLearning Books. It will be added at the top of the list! Is there a single path to become an Instructional Designer? What kind of previous experience do you need? Is Instructional Design an art or a science? In the Free eBook "How To Become an Instructional Designer" 24 Highly-skilled Instructional Designers share their success stories. Enjoy your reading! The Free eLearning Professionals’ Book: How to become an eLearning Professional - 2013 by eLearning Industry. This is not your average looking, cliché reproducing, metaphysical, theory-loving eLearning eBook. Do not expect to read any speculations, rhetorical questions, and abstractions related to eLearning. This is merely a powerful weapon in the hands of those who are truly interested in becoming the field’s Top eLearning Professionals. Make no mistake, however. It’s addressed only to those with a passion for eLearning, eagerness to evolve, desperate to reach their potential, hungry for uniqueness, and ambitious enough people that want to make a difference in someone else’s life. eLearning 101: Free eLearning eBook - The team at eFront and TalentLMS have got together to create a FREE ‘eLearning 101’ eBook to download which contains information on all important and relevant concepts, trends and applications of eLearning. The ebook is designed to be a comprehensive introduction to eLearning for people totally new to the field, and will also be of interest to other more experienced eLearning professionals and course creators. Game Changers: Education and Information Technologies - An EDUCAUSE e-BookNew models and new technologies allow us to rethink many of the premises of education—location and time, credits and credentials, knowledge creation and sharing. Institutions are finding new ways of achieving higher education’s mission without being crippled by constraints or overpowered by greater expectations. Game Changers, a collection of chapters and case studies contributed by college and university presidents, provosts, faculty, and other stakeholders, explores these new models. Theory and Practice of Online Learning - Athabasca University Awarded the Charles A. Wedemeyer Award by the University Continuing Education Association. The Charles A. Wedemeyer Award recognizes publications of merit that make significant contributions to research in the field of distance education. Emerging Technologies in Distance Education by George VeletsianosA one-stop knowledge resource, Emerging Technologies in Distance Education showcases the international work of research scholars and innovative distance education practitioners who use emerging interactive technologies for teaching and learning at a distance. Web 2.0 Tools in Education: A Quick Guide by Mohamed Amin Embi. This book includes 20 2.0 Tools that you can use in Education. E-Learning: A Guidebook of Principles, Procedures and Practices by Prof Som Naidu, written for CEMCA. The Strategic Management of e-Learning Support by Franziska Zellweger Moser.This book includes the research of three innovative American Universities with more than 50 interviews with key persons reflecting a wide variety of perspectives. In this research project, the strategic management of e-Learning support at American research universities was studied. Michael Allen's 2012 e-LEARNING Annual by Michael Allen ("Don't Get Trapped by Your e-Learning Tools" by Allan Henderson). This Annual offers a revealing discussion and debate, consisting of 27 papers from 30 authors, on the appropriate selection and implementation of technology for learning solutions. “By placing so many viewpoints together, Allen has made it possible to do the classic ‘compare and contrast’ that helps develop insights and identify possibilities and strategies that fit our particular circumstances,” explains Bill Brandon, editor of Learning Solutions Magazine for The eLearning Guild, in his book review. “The authors support all of the content with decision aids, tables, and figures that you will find useful not only for your own understanding but also for explaining new concepts and ideas to others, including decision-makers”. Successful e-LEARNING Interface: Making Learning Technology Polite, Effective & Fun by Michael Allen. (Only Chapter 2: Introducing the CEO of LID). This book will help you use your time and resources effectively to build the best e-learning experiences possible within your constraints. As with the other books in this series, this book is geared toward pragmatic application. It's direct and to the point: here's how to connect with your learners, how to empower learning to make the most of e-learning's capabilities, and how to orchestrate learning events for maximum impact: CEO—connect, empower and orchestrate. E-Learning Concepts and Techniques - University of Pennsylvania. E-Learning Concepts and Techniques is a collaborative e-book project by Bloomsburg University of Pennsylvania's Department of Instructional Technology students and guest authors. It was a project-based assignment for the online class, E-Learning Concepts and Techniques Spring 2006 and is dedicated in memory of Justin Bennett (1989-2006). It is also dedicated to those who love to learn as well as to those who inspire that love in others. 52 Tips on Best Practices for eLearning Development and ImplementationHow can you develop and deploy eLearning quickly, efficiently, and with positive results? Which eLearning development and implementation methods work best and which methods are unreliable or ineffective? This complimentary eBook features 12 experts offering development and implementation tips on areas including Guidelines and Protocols, Making Tools Work for You, Engaging Your Team, and Reaching (and Teaching) Your Audience. CU Online Handbook - University of Colorado Denver. Do you currently teach online? Have you thought about teaching online but for some reason haven’t done it yet? Here at CU Online, we believe in the power of online learning. Whether you currently teach online or you are thinking about doing it in the future, we are here to help you sort through this process and we hope that this handbook might help you along the way. The boundaries between traditional face-to-face courses and completely online courses are beginning to blur. Therefore, as we move forward, we all must consider when, how, and why we integrate the tools that we do in our classrooms. Learning Spaces - An EDUCAUSE e-BookSpace, whether physical or virtual, can have a significant impact on learning. Learning Spaces focuses on how learner expectations influence such spaces, the principles and activities that facilitate learning, and the role of technology from the perspective of those who create learning environments: faculty, learning technologists, librarians, and administrators. Information technology has brought unique capabilities to learning spaces, whether stimulating greater interaction through the use of collaborative tools, video conferencing with international experts, or opening virtual worlds for exploration. This e-book represents an ongoing exploration as we bring together space, technology, and pedagogy to ensure learner success. 62 Tips on Graphic Design, UI/UX Design, and Visualization for eLearningEffective eLearning deliverables require more than just text and a few random graphics. Good graphic design, user interface (UI) design, and user experience (UX) design aren’t optional – they’re necessary to ensure maximum learner comprehension and retention. This complimentary eBook features 12 top professionals offering graphic design, UI, UX, and visualization tips on areas including Highlighting Learning, Aesthetic Considerations, and Tricks and Tools. 65 Tips on Managing Projects and SMEs for eLearning. All the ideas in the world don’t matter if you can’t complete your eLearning project. This complimentary eBook features 11 top learning professionals offering tips on managing eLearning projects and SMEs, including Dealing with Stakeholders and Planning Your Project, Choosing and Managing Your Team, Effective Communication, Constraints and Challenges, and Quality Control. The Insider’s Guide to Becoming a Rapid E-Learning Pro by The Rapid e-Learning Blog.One of the great benefits of rapid e-learning is the ability to create e-learning courses much faster and easier than ever before. However, going faster and making your job easier are not the only considerations. That’s where this free 46-page ebook by Tom Kuhlmann comes in. 53 Tips on Using the Cloud for eLearningThe cloud has tremendous potential in the eLearning world, but there are so many choices. Should you use a public or private cloud? How can you make the online experience more seamless? This complimentary eBook features 11 top eLearning professionals offering tips on areas including Planning, Cost, Content and the User Experience, and Support and Security. 58 Tips for Breakthrough eLearning Instructional DesignThis eBook draws on the ideas and experience of 14 Instructional Design experts who are leading sessions that are part of The eLearning Guild’s May 2012 Online Forum on “eLearning Instructional Design: Advanced and Breakthrough Techniques.” These tips will enhance the way you design eLearning. Facilitation Online - The Center for Education Technology.The guide contains the course model, week-by-week learning activities, general guidance to the course leader on how to implement and customize the course and specific guidelines on each learning activity. The latest version of the course manual includes several minor corrections and is dedicated to the memory of our co-author Jeanne Smuts who died on 28th July 2009. 75 Tips to Reduce eLearning CostsIn this eBook, eLearning Guild members reveal imaginative ways to cut eLearning costs, and share insights on how to optimize your resources to get the job done more efficiently and effectively, without sacrificing quality. See how others are doing amazing things with limited budgets, and how innovative cost-saving ideas can help you do more with less. Educating the Net Generation - An EDUCAUSE e-BookThe Net Generation has grown up with information technology. The aptitudes, attitudes, expectations, and learning styles of Net Gen students reflect the environment in which they were raised—one that is decidedly different from that which existed when faculty and administrators were growing up.This collection explores the Net Gen and the implications for institutions in areas such as teaching, service, learning space design, faculty development, and curriculum. Contributions by educators and students are included. 701 e-Learning Tips - The MASIE CenterThanks to The MASIE Center’s TRENDS readers and Learning Consortium Members, over 1000 e-Learning tips were received, analyzed, and categorized. These tips are from senior managers and training professionals from major corporations around the world. We have edited and compiled 141 pages and 14 chapters covering the ABC’s of getting started to global implementation strategies. 98 Tips for Selecting and Working with e-Learning Service ProvidersIn this eBook we discuss how we can work best together, identifying what should be done inhouse or where outsourcing would be more economical, and how a team approach can align the brainpower of widely diverse groups, often across the miles. Videoconferencing Cookbook - ViDe Who are the Intended Readers? Members of the higher education academic and research communities, K-12 educators and technologists and workplace technology integrators. 65 Tips for Getting the Most Out of Your e-Learning BudgetThis eBook on maximizing your e-Learning development budget demonstrates the ingenuity of our industry and our commitment to learn all-ways. You will find tips on enduring themes such as where to begin your e-Learning programs, getting the most from subject matter experts, lending your skills to other departments, and lessons learned the hard way. 144 Tips on Synchronous e-Learning Strategy + ResearchThe eLearning Guild conducted a survey of its members, asking for their favorite tips relating to strategies for effectively creating, managing, and using synchronous e-Learning. These tips will be useful to any designer or developer looking for best practices to incorporate into their own processes. This eBook is sponsored by Adobe Systems, Inc.
239 Tips for Producing and Managing Flash-based e-Learning ContentIn February and March, 2008, The eLearning Guild conducted a survey of its members, asking for their favorite tips for producing and managing Flash-based e-Learning. Members could submit tips relating to any or all of 19 different tools (plus an “other” category) that either produce Flash output or that can incorporate Flash content. The Instructional Use of Learning ObjectsThis is the online version of The Instructional Use of Learning Objects, a new book that tries to go beyond the technological hype and connect learning objects to instruction and learning. You can read the full text of the book here for free. The chapters presented here are © their respective authors and are licensed under the Open Publication License, meaning that you are free to copy and redistribute them in any electronic or non-commercial print form. For-profit print rights are held by AIT/AECT. The book was edited by David Wiley, and printed versions of the book are published by the Association for Instructional Technology and the Association for Educational Communications and Technology. If you find the online book useful, please consider purchasing a printed copy. 162 Tips and Tricks for Working with e-Learning ToolsIn October and November 2007, The eLearning Guild conducted a survey of its members, asking for their favorite tips for using software to create e-Learning. Members could submit tips in any or all of these five categories: Courseware authoring and e-Learning development tools, rapid e-Learning tools, simulation tools, media tools, and combining and deploying authoring tools. The eLearning Guild's Handbook of e-Learning StrategyThis FREE Digital Handbook will help you make a broad, fundamental connection between learning, e-Learning, and your organization's mission, business objectives, and the bottom line. Chapters address everything from crafting a focused strategy, to keeping your strategy focused, to change management. This eBook is sponsored by Adobe Systems, Inc. The eLearning Guild's Handbook on Synchronous e-LearningThis FREE Digital Handbook on Synchronous e-Learning is intended for anyone and everyone who wants to produce, lead, or promote live, interactive learning events on the Web. It's packed with job aids, references, examples, and information to significantly reduce the amount of time required to produce online learning events. This eBook is sponsored by WebEx Communications, Inc.
382 Tips on the SELECTION of an LMS or LCMSThis FREE Digital Book is an awesome collection of tips from hundreds of your professional colleagues. These tips will help you navigate the LMS minefield, streamline your selection process, and help you save money! Nowhere will you find a more comprehensive set of tips that you can use to improve your LMS and LCMS selection efforts. 339 Tips on the IMPLEMENTATION of an LMS or LCMSThis FREE Digital Book is an amazing collection of tips from hundreds of your professional colleagues. Nowhere will you find a more comprehensive set of tips that you can use to improve your LMS and LCMS implementation efforts. 311 Tips on the MANAGEMENT of an LMS or LCMSThis FREE Digital Book is an incredible collection of tips from hundreds of your professional colleagues. Why reinvent the wheel when you can learn from these tips on the management of your LMS or LCMS system! Nowhere will you find a more comprehensive set of tips that you can use to improve your LMS and LCMS management efforts. 834 Tips for Successful Online InstructionThis FREE Digital Book is a wonderful collection of tips from 336 of your professional colleagues. Nowhere will you find a more comprehensive set of tips that you can use to improve your knowledge and skills in online instruction. This eBook is sponsored by WebEx Communications, Inc. In Search of Learning AgilityThis publication deviates from the typical eLearning Guild eBook. We’re publishing it here because we believe that it contains a powerful and insightful view of the role educational technology plays in organizations. The central premise is that enduring competitive advantage must be built on organizational learning agility. This is a “must read” for managers and executives who are interested in aligning learning and training efforts and investments with larger business objectives. e-Learning Survival Guide by e-Learning Queen (a.k.a Susan Smith Nash)Everything you need to succeed in the wild world of mobile learning, e-learning, and hybrid college, K-12, and career courses.